Second cutting is finally underway. It’s already the seventh of August… I have a couple of questions to answer… Anyone have any more???? Post them here! I was wondering how many hay cuttings you’re able to do between spring and fall? Do you grow a grass/alfalfa or grass/clover mixture in each field, or are the legumes and the grasses grown in separate fields? The “Time to Wash” post also made me wonder if the silty water comes from a surface stream or channel, or a well? There’s a lot involved in growing forage but it isn’t much talked about, so thanks for the opportunity to ask. 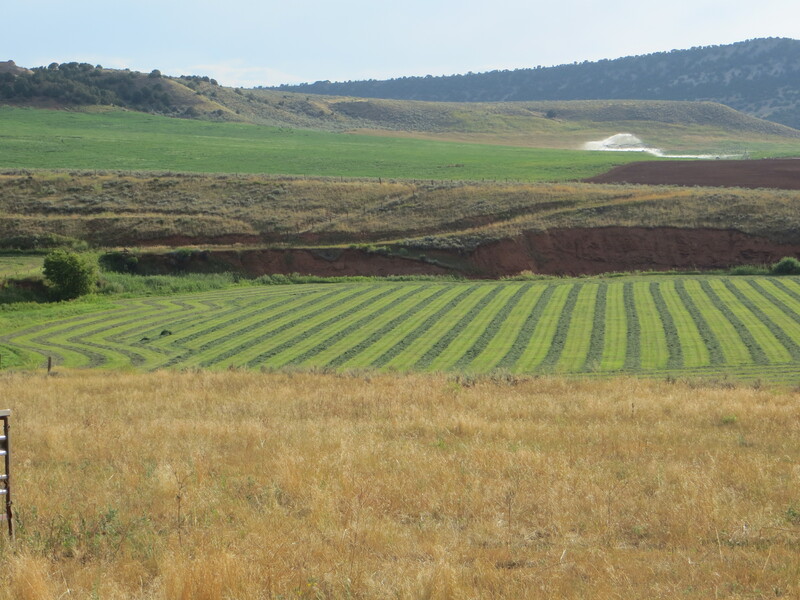 Love the colors and straight furrows. How are the bees doing? And do you have any prairie dogs on your ranch?Thanks.